As you may have noticed, social media is an integral part of a marketing strategy, and it's the primary way to market your services. How you handle your social media presence matters more now than ever before. Have you been updating the details that can get you noticed more? A big part of boosting your online presence includes exploring what you can do with your Facebook cover photos. What Is a Facebook Cover Photo? Every business should have a Facebook page since Facebook is the largest social media platform with over 2 billion users. We want to make it as clear as possible for you to know the best tips to use the platform to your advantage. You'll find it's rather easy to do, but it will take time and effort. Let us help you with tips on how to use your Facebook cover photos to get the attention you want. Think about what grabs your attention. When you browse other people's business pages, what are the first things you notice? You immediately notice someone's profile photo and their cover photo. Facebook cover photos take up the most real estate at the top of the page, making them a prominent aspect of any business profile. Did you know Facebook cover photos are 820 pixels wide by 312 pixels tall when displayed on your computer and 640 pixels wide by 360 pixels tall when viewed on smartphones? That's a lot of virtual real estate to use! You don't want to pass up this opportunity to use it wisely. You'd be surprised to learn how many people aren't using their Facebook cover photos to their advantage. You have a distinct business, and you've created your brand around it. Just as you use your branding in your marketing strategy, you want to bring it into the realm of social media. You want all aspects of your social media actions and interactions to be on-point with your brand, and this includes your Facebook cover photos. Whatever you share on Facebook must be consistent with your brand. Remember you want to appeal to people's senses. To achieve this appeal means that in addition to conveying the themes of your brand, you also need the emotional component of your work to resonate with them. Let this emotion be authentic and connected deeply to why you do the work you do. Take time to consider a list of the feelings associated with your products or services and make sure those feelings are present in the images you share. What Are the Different Approaches to Facebook Cover Photos? On top of representing your brand, Facebook cover photos can be used to grow your business. You can combine traditional marketing techniques with current social media tactics. This combination could entail using your Facebook cover photos to drive sign-ups or advertise products. We know various approaches that will improve your overall business presence. Keep your Facebook cover photo up to date with your other marketing tactics. Do you have a website, app, or a newsletter? Are you already maintaining messages and graphics with them? Be sure to transfer this to your Facebook page with your cover photo, just as you would with your website. Try using symbols in the background of your business name and logo. Emojis provide symbols ranging from hearts, stars, flags, hand signals, clouds, food, rainbows, and so much more. With emojis, the sky is the limit so take advantage of using them for some creativity. You want to show that your brand is all about providing support to help your customers get things done the fun way. Using visual content allows you to shine a light on the personality behind the business. 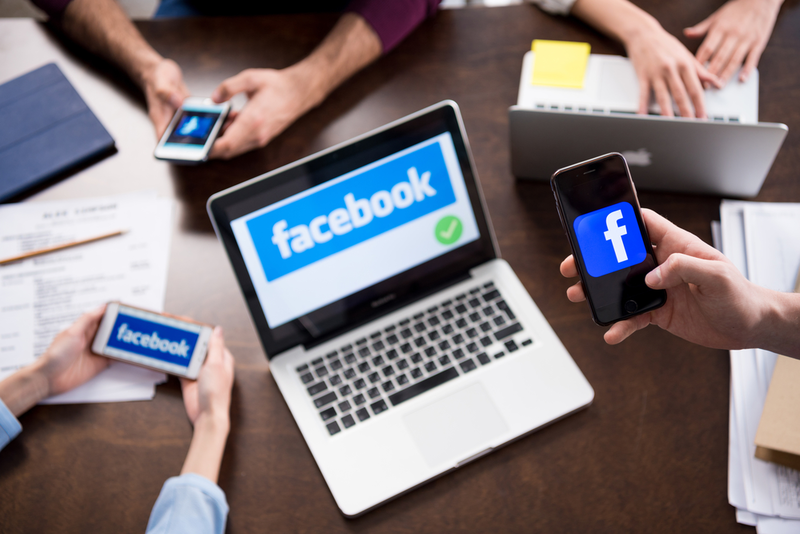 Facebook cover photos are an effective way to showcase content that aligns with how you connect with the values of your brand. You want to highlight where you and your brand overlap to make your business more relatable. Give others the opportunity to connect at a personalized level through humanizing your brand. Now that you're clear on the different formats for your Facebook cover photos let's go over some ways you can get creative with what you share. Here are ten fun, eye-capturing ways you can add variety to your Facebook cover photos. Do you have an upcoming event you'd like to share with your followers? You can use your Facebook cover photo to let people know about it.Will you be a part of an upcoming conference or summit, or a fundraiser or drive? You can use clear messaging and graphics to include your brand's objectives and logo and to encourage registration or involvement in the event. Although it may seem like an easy choice, you may overlook featuring a specific product in your cover photo. You may have a steady stream of other images and posts that show off a product you're promoting, but why not put it front and center as your cover photo? Just develop a well-thought-out catchphrase with an image of a product or service. Then all you need to do is have it aesthetically designed to match your brand. Landscapes and desirable settings are often used as personal cover photos. Why not transfer this idea over to your business page? Can you think of an ideal environment that could capture the imagination of your customer? All you need to do is lay out the stage so that your admirers can see themselves right there in the scene. Do you have a tagline for your brand? You may have already come up with a few bold statements to associate with your business when doing your marketing. Your Facebook cover photo is an excellent place for you to echo those affirmative statements that encourage and motivate others. Be sure to share something that your audience will remember and can instantly associate with you. Acknowledging the people who've enjoyed your products or services lets them feel valued and shows that your business cares about them. Have you considered having your brand incorporate user-generated content? You can create Facebook cover photos that feature stories and images from your customers. You can easily include some of their faces or them doing activities related to your products or services as a way to tell a story about your brand. Do you like using color to make an extra statement? Consider how a color will make people feel, and peak interest in learning more about your products and services. Sure you want to use that color palette of your brand, but consider what other colors will compliment this. Using flashy colors can be hip, friendly and vibrant, while effectively highlighting specific components can help boost your sales. As we mentioned earlier, you want to make an emotional connection with your audience. Past accomplishments and anniversaries evoke sentiment in consumers, so you want to provide them with it. Emotion is at the heart of most decisions and could prompt continued action from loyal fans of your business. You can use your Facebook cover photos to rekindle memories and promote nostalgia. Part of your business and your brand is your unique selling point. Now with the help of online trends and tactics, you can express your uniqueness in new ways. One of those ways is by using a powerful hashtag on your cover photo that can be associated with your business. Once your hashtag catches on with users, you can track fan's discussions and monitor the reach of your marketing campaigns. Another beneficial approach would be for you to find a creative way to state succinctly what your value proposition is. Can you think of an impactful one-liner that expresses who you are and what you do? Your cover photo can present this directly as people find your brand on Facebook. Whether it's getting your customers to visit you at a landmark location or to make an online purchase, you want to direct them on how to do it. You can guide your audience to download your latest free e-book or to make it out to your next event, with the right effort. A call to action is necessary to get your fans active in taking that next step. You want to make it as clear and easy for them to know what they need to do to get your product or services. For enhanced brand awareness, you want to leverage any visual branding space you have to capture the attention of your audience. Facebook cover photos are a great way to use your visual branding space and foster a stronger connection with your audience. Whether you're looking to highlight a product, promote a hashtag, market an upcoming event or make a call to action, your fans will see it. Be prepared to get them excited for what you have to offer!